Qian Songyan from Yixing in prosperous Jiangsu province was a traditional landscape painter who worked mostly in Nanjing, producing in the 1950s and early 1960s many industrial landscapes regarded as combining romanticism with realism. This quiet scene represents Lake Tai in the Jiangnan (Jiangsu and Zhejiang) region of "fish and rice" referred to the inscription. Qian Songyan was born in Yixing, Jiangsu province. He studied painting and calligraphy at a private school before attending a further education college. He subsequently taught at several schools, but spent most of his career at Wuxi College of Fine Arts in Jiangsu. 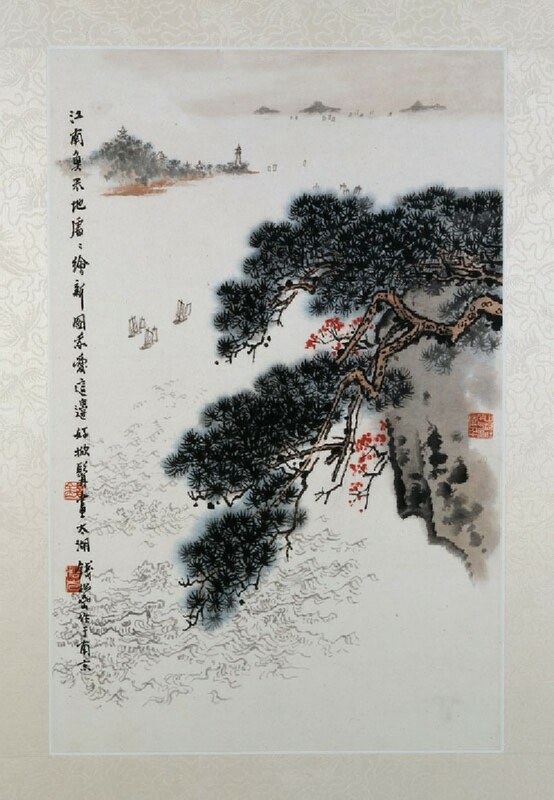 Qian is known primarily as a traditionalist landscapist under the influence of the Ming and Qing literati painters. 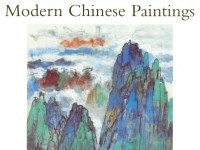 In 1960 he became one of the chief figures in the newly founded Jiangsu Chinese Painting Academy. That Autumn, Qian spent three months travelling across six provinces to develop new ways of depicting landscape, together with Fu Baoshi, the head of the Academy, and other Academy artists including Ya Ming, Song Wenzhi and Wei Zixi. Later these artists are known as the ‘Jiangsu group’ for their extensive travels around the country and their subject of nationalistic celebration.